Our İngilizce Dersleri series provides a library of video learning curriculum. We have designed these video articles for our Turkish students learning English. They are a supplement to our online conversation classes. We encourage our students to use these videos to practice their listening and reading skills between conversation classes. This İngilizce Dersleri video is targeted towards intermediate students and above. You can find our complete database of video lessons in our Ingilizce Dersleri library The language in the article includes technical (scientific) and statistical terms. It is great practice for anyone studying or employed in a technical field. The article provides interesting vocabulary for IELTS and Intermediate students of English. The article focuses on a recently published study regarding the relationship between a person’s socioeconomic and geographical conditions, and their time dedicated to exercise. The article states that people of lower socioeconomic class and less favorable climatic conditions (cold / rain) exercise less. The article also briefly touches upon the relationship between the London 2012 Olympics and the increase in “grassroots” sport participation. You can find a copy of the article on the BBC website here. As you may be aware, Istanbul is bidding to host the 2020 Olympic games. We created a previous İngilizce Dersleri video article about the Istanbul Olympic bid, that you can find here. Istanbul is bidding against Tokyo and Madrid. The winner of the bid will be decided on September 7th 2013 in Buenos Aires. When a country hosts a Summer Olympics, a spotlight is created around the state of sports and fitness in the country. Typically, the host country will dedicate a budget to building up community sports facilities across the country to create an “Olympic legacy”. If Istanbul is successful in its bid, the world’s attention will be on sport in Turkey. Please give us your thoughts! Do Turks get enough exercise? How would you like to see the culture of sport improved in Turkey? Do you think a successful bid for Istanbul 2020 could help accelerate sport across the country? In our İngilizce Dersleri series we provide online video learning lessons. These video learning lessons are designed to compliment our online conversation classes. We encourage our Turkish students learning English to use these videos between conversation classes. They are designed to develop a student’s reading and listening skills. In our İngilizce Dersleri series we try our best to use recent current events to spark motivation and interest in our students. 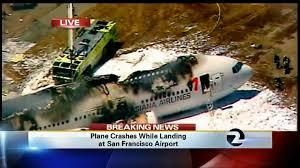 Today’s article is about the recent Air Asiana plane crash into San Francisco airport (SFO). We recommend this article for our intermediate students of English. The event was tragic and involved deaths, our condolences go out to the families of those who lost their lives in this accident. This is also a great video lesson for anyone taking the IELTS program. The article provides very good vocabulary for describing a current event. We hope that you will all find it useful! Turkish speakers may also like to look at the BBC article, ABD’de yolcu uçağı iniş yaparken düştü which provides context to this video. A Boeing 777 recently crashed at San Francisco airport. An Asiana Airlines Boeing 777 flying from Seoul crashed while landing on Saturday at San Francisco International Airport, the U.S. Federal Aviation Administration said. FAA spokesman Lynn Lunsford said it was flight No. 214, and it was unclear how many people were on board. Images from television station KTVU in San Francisco showed extensive fire damage to the airplane, which had lost its tail in the crash. Fire engines were on scene and the fire, which had burned through the cabin’s roof, appeared to be out. Please do let us know if you enjoyed this article and whether there are any topics you would like us to cover for the İngilizce Dersleri series! Turks are learning English, but are they speaking it? Last year Güven Sak answered this in a short informative article in the Hürriyet Daily News. After several observations regarding the state of English in Turkey today, he bemoaned the lack of skilled English teachers and relevant education to train educators. It got me thinking. Despite the obvious ongoing need for more well-trained teachers fluent in English, there is something else worth noting about Turks and their collective knowledge of English. For many, after years and years of English lessons at both school and University, the learning curve plateaus, then stagnates. Turks learning English put down their grammar books, complete their last gap-fill activity, and start life in a professional career. English simply sits unloved and abandoned in the attic. To me, this is an enormous waste of a great resource. Among my adult students, almost all of them had watched their English stagnate and decline, never put into use during their professional career. For some there has been the odd holiday abroad when they could sputter a few questions to ask directions in Rome or Miami, though in general spoken English was a downhill slide once working life commenced. The majority of my Turkish students, and especially those who had pursued careers requiring professional qualifications, continued to be more and more exposed to authentic English. My students who worked as doctors would attend seminars conducted solely in English, while those in engineering kept up with the latest developments through academic journals. Listening and reading, the passive skills of language, overtook the active. Turks could read and listen to English: they just couldn’t speak it. English conversation was frustrating and often an embarrassing situation for them, and their self-confidence plummeted when they spoke English to a native-speaker. It’s a widespread issue. Turkey now has a huge number of citizens who in fact possess ‘dormant English’, a good understanding of the language that is, simply, asleep, unused and atrophying. It didn’t take much for me to realize what could help awaken it, and fast. How to kick-start this dormant English in Turkey? Internet use in Turkey is on the way up. Household broadband penetration is at 40% and rising. Turks are becoming more confident about purchasing online. Turkey’s economy continues to perform well and thus economic opportunities are increasing for many citizens. So why not seize this opportunity? Reawaken the English within Turks without waiting a generation for new teachers to be trained? With the Internet, why not give Turks access to English conversation classes with native speakers? There are a number of providers of online English lessons, offering easy access to native English speakers. 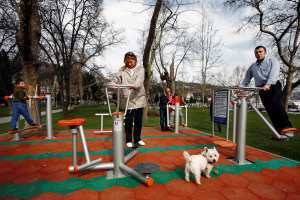 For any Turk with a broadband connection, an exhausting evening or weekend commute to a physical classroom is no longer required. Let’s reactivate this passive knowledge and make English an active skill for the growing number of Turkish professionals who need global language and communication. The Internet can’t provide a solution to all the challenges facing English language education in Turkey today. However, by leveraging the technology and communications infrastructure already in place, we think there’s an immense opportunity to fast-track the English that currently sits as a unused resource within the Turkish population. We’re already seeing great results. Motivation, higher self-confidence, and improved spoken English! Are you an EFL educator in Turkey or a Turk trying to kick start your dormant English? Let us know what you think? I mainly teach Spanish speaking students, but the issue is still the same. It’s much easier to remain in your comfort zone than get out their and practice speaking. I think the main thing is that they need to find ways to build their confidence in English and find fun opportunities to use it. That way they can continue to develop their skills without it feeling like hard work. Thanks for your response Chris. As you’re teaching mostly Spanish-speaking students, do you find that any of the confidence issues come from the culture, or education system of the students? For Turks, we suspect that most of them come through an education system that does not give a very high value to individual thought and expression. While education in the country appears to be improving dramatically in many ways, young people still lack confidence after exiting a system where it was important to have memorized a lot of information, while analysis and critical thinking took a back seat. Since Spanish-speaking students originate from a far wider geographic range than Turks, I’d be interested to hear your thoughts on how motivation and confidence varies between Spanish=speaking regions, if that is indeed the case, and also whether your Spanish-speaking students adapt quickly to online learning. In our second İngilizce Öğrenmek post we talk about why we recommend TED Talks as a tool for our Turkish students learning English. Our first İngilizce Öğrenmek post was about weekly reading for Turkish professionals. TurksLearnEnglish.com is a fan of TED Talks. The site is a great way to hear about new and exciting ideas. Better yet, these talks are a truly practical way to improve your listening (and reading) skills. Keep in mind, that here at TurksLearnEnglish we also have an entire library of video learning exercises specifically designed for Turks learning English. You can access the library in our Ingilizce Dersleri section! TED Talks presents speeches on a wide range of topics, all of them in English. It’s a simple way to hear good spoken English while also learning about a new and interesting topic, such as the latest developments in medicine or predictions about the future of education. Another benefit is that the presenters come from every part of the planet, making it one of the best sites to hear every possible accent in English. Familiarity with many accents is a key way to improve your understanding of the English language. And good listening skills means understanding more than just your English teacher! TED Talks are usually between six to 20 minutes in length, with many around ten minutes. Short enough to watch a couple of times in the same day or even during your lunch break, and just long enough to hear some interesting ideas. What level of listening skills do you need to understand a TED Talk? To be honest, most TED Talks will require a second listening for many students of English. There are often a few technical terms used in the speeches, and sometimes the presenter’s humor may not be understood clearly by non-native speakers. The advantage of the Internet is that you can listen to a certain section again, until you understand what is said. Better still, many TED Talks come with a transcription, which means you can read everything that is said during the presentation. And better again, in some instances the transcription is available in Turkish, so sure, why not listen a few times… and read as you go along? It’s a visual guide to help your listening skills! TED Talks for Turks in three easy steps! Secondly, click ‘View all tags’ to select talks that interests you. There are many different topics covered so you will find something that interests you: education, language, medicine… even rocket science! Thirdly, listen to the presentation once. Then, why not try a second time while reading the transcription. At the bottom right-hand corner of the screen, click on the drop-down menu to find the transcription in English, or Turkish (and if it’s available). TED presentations are authentic English and the transcriptions are a wonderful way to see English words on the same topic together at the same time. It helps to learn words together that have some connections. For example, in a speech by Margaret Heffernan, she uses the words and phrases conflict, disagree, fight, head-to-head, provoke, whistle-blower, and to have a fight on your hands. It’s much easier to learn these words together and in context. Lastly, mimicking is excellent for learning the rhythm and intonation of a language. When no one’s around, it really makes sense to repeat, with a loud voice, phrases of the speakers. It’s truly one of the best methods to improve your pronunciation (just think of all the song lyrics or lines from English movies that you already know). That’s it. There are hundreds of talks on scores of topics, so start improving your listening skills now! Let us know if you found this helpful… and why not suggest something for us to write about? 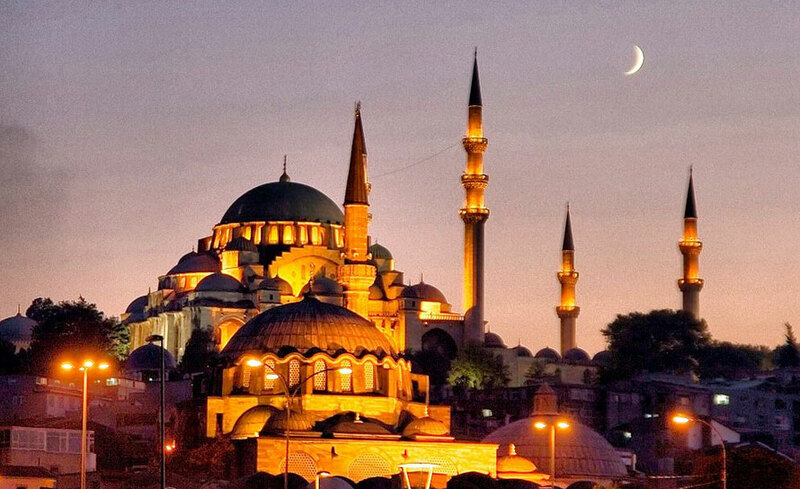 Time for culture-specific online language learning: English tailored for Turks. TurksLearnEnglish.com is excited. We’ve now launched our online English language classes, designed specifically for Turks. For our first post, we’ll explain a little about who we are, what we’ve learned thus far and what we hope to achieve. Our story is simple. After teaching English to Turks in the traditional bricks-and-mortar classroom, we, the founders of TurksLearnEnglish.com, realised there was opportunity to bring together our knowledge of teaching English to Turks with the benefits of an online setting. As you probably already know, English-language education in Turkey is a big business. 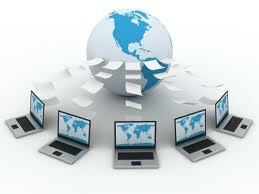 As you are probably also aware, online language education is a rapidly growing part of the wider ‘EduTech’ movement. Our idea is simply to tailor online English lessons for Turkish native speakers, and we believe this ‘culture-specific’ approach to English language education has linguistic, cultural and motivational benefits. As founders, we have first-hand knowledge of teaching in Turkey, though we think a ‘culture-specific’ approach could work for any group of people sharing a strong common identity. What do we mean by ‘culture-specific’ classes? The Internet now provides access to English language lessons to anyone who has a decent Internet connection and a laptop. Livemocha is a successful example of an education start up offering language classes (and has recently been in the news for merging with Rosetta Stone). They offer everything from free ‘community’ exchanges between members to structured courses that can be purchased, and it’s not just for English – they teach a variety of languages. For the most part, Livemocha is not culture-specific. Any given online class can contain students with vastly different languages and cultures. Our approach for Turkey will be different. We are launching online English classes that contain only Turkish speakers, and teachers who have experience teaching to Turks. Three primary advantages to culture specific online language lessons: Linguistic, Cultural and Motivational. It’s clear to anyone who has even the most basic understanding of Turkish, or to a teacher who has taught Turks, that Turkish exhibits some peculiar qualities. When a classroom contains students with a common linguistic background, students’ needs are similar if not the same; the time saving is obvious. One student’s mistakes are relevant to all participants and this holds true for vocabulary, grammar and pronunciation. Likewise, there are innumerable common mistakes to all Turkish speakers that make entire lessons on ‘Turklish’ an enjoyable and relevant learning experience. Particularly beneficial is that students assist each other. A student with slightly higher verbal proficiency might assist with vocabulary, while another helps improve his classmates’ pronunciation. The classroom becomes a collaborative experience in which students become educators and where teacher-interference is reduced. Turks, like many cultures, possess a strong identity. As a teacher of Turks for several years, I’m able to make some personal observations about the average Turk learning English. Each culture can probably be described with a similar set of phrases. My point is that a collective set of values or behaviors work well if shared in the same learning environment. When a student group is homogenous a teacher can act more effectively. Cultural knowledge helps promote a comfortable class environment and to avoid discomfort and tension. In Turkey, certain topics remain off-limits, from a cultural perspective. A teacher needs to encourage and motivate Turks, yet be careful not to belittle them in front of their peers, and to accept that self-discipline cannot always be expected. Turks may speak bluntly to another person but take offense when spoken to the same way. They love humor in lessons and Turks are a lot of fun to teach. As with linguistic issues, what is culturally relevant or irrelevant to one student is probably the same for all. Most significant are the benefits of talking about issues of interest to Turks. Most Turks participate eagerly in discussions about the current flurry of Istanbul infrastructure works and the 2020 Olympic bid. Turks spend an inordinate amount of time with their families and they are happy to describe family events, which often make up part of each weekend. It’s evident that a student needs to be interested in the topic at hand to maintain motivation, so TurksLearnEnglish.com also developed theme-based lessons rather than a curriculum, which allows flexibility during lessons to adapt instantly to student needs and desires. So far, we’ve found that the culture-specific online classroom is a relaxed environment where students are ready to share. For a teacher with at least some knowledge of the students’ language and culture, it is also less time-consuming to make corrections that are often relevant to everyone present. Best of all, Turks seem as engaged in online lessons as in a physical classroom, and very much able and willing to build a positive learning relationship online. We encourage discussion and look forward to hearing your ideas and comments!